It costs around $4,200 per employee to outfit a startup business. This includes desk, chair, electrical and so on. But whether you are a startup, moving locations, upsizing or renovating, buying used office furniture can save you a good chunk of money. Read on for practical tips to help you buy used furniture with confidence. 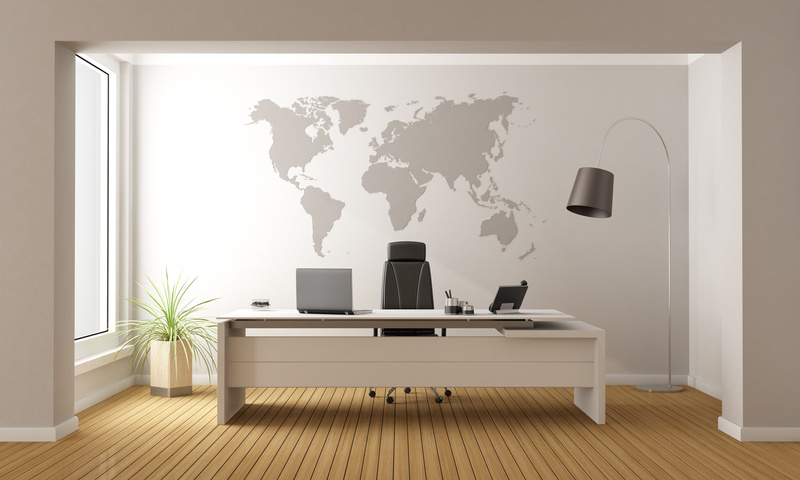 There are many benefits to buying used office furniture. 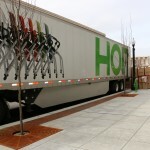 Not only is it less expensive, but it is also better for the environment. Often, used furniture is being sold because a company is moving locations, having renovations or no longer needs those particular items. Many times, those used office chairs, office desks, and used file cabinets are like new. Yet, you don’t want to spend money on items that will wear out or break after just a few months. You want to invest in used furniture that is reliable. So make sure what you’re buying is made of quality materials. Some furniture pieces you need right now for your office. Other items won’t be vital at this time. Make a list of what furniture you need now and what can wait. You may find that items you thought you needed, you don’t anymore down the road. Or you may change your mind about the right item for a particular spot in the office. It’s always a good idea to give yourself time to mull it over before committing on items. Even though used furniture is less expensive than buying it brand new, it can still be a large expense. Especially if you are outfitting an entire office. To avoid buyer’s remorse, have a used furniture budget and stay within it. Even if you find a deal that seems too good to be true. Having a firm budget will help you focus on the necessities and keep you out of financial trouble. When you are shopping for used furniture from reputable sellers, you can usually count on them to enforce strict quality controls to ensure the furniture is in good working order. Yet, for your own peace of mind, it’s a good idea to always ask questions. Find out how old the used file cabinets or used office chairs are. Ask where it was used and how it was stored. This will help you understand how much wear and tear the used furniture has been exposed to. When you are shopping for used furniture, quality is key. A sturdy, name-brand piece of furniture will give you a lot more use than a cheaply made item that won’t last long. It’s always a good idea to inspect used furniture in person. That way you can look at hinges and casters and see how smoothly they roll. You can check out the padding in used office chairs and make sure the gas pumps work properly. Used office furniture can be a great asset to your office. We hope these tips help you understand how to shop for used furniture in a thoughtful and wise manner. Next, check out these 5 best office tools that boost productivity. Large numbers of people in industrialized countries spend 90% of their day sitting down. This has serious implications for their health. However, there are office furniture designs to help reduce this threat and also to help create a more positive office environment. If you want to provide your office workers with healthy and comfortable furniture, try the healthy chair and these 4 other office furniture innovations. The healthy chair is about ergonomic design. Ergonomics is the science of designing products for optimum human use. The office chair has been transformed by ergonomic design into a highly customizable work tool. We are all different sizes and shapes so no one shaped chair can be right for all of us. Being able to adjust the height, angle, and back support of a chair is essential for dealing with sitting back pain. This is especially important for the computer worker. Many of us find that we lead sedentary lives. Sitting down at work is followed by sitting in the car. Later in the evening, we sit for hours in front of the TV. Being physically inactive is bad for our health. “The chair is out to kill us“, says James Levine from the Mayo School of Medicine. We are designed for walking, not sitting so it’s hardly surprising that we are damaging our bodies by sitting so much. Stand-up desks are an innovative response to the back pain problem. The best stand-up desks are height adjustable so you can alternate between sitting and standing. Try having a stand-up meeting. The energy levels do seem to be higher. In addition to higher energy levels, lower health risks, and increased productivity, there are other benefits to a sit-to-stand desk. You use extra calories standing rather than sitting and posture is improved. Having a work area where anybody can show up and plug in is an increasingly common sight in offices. 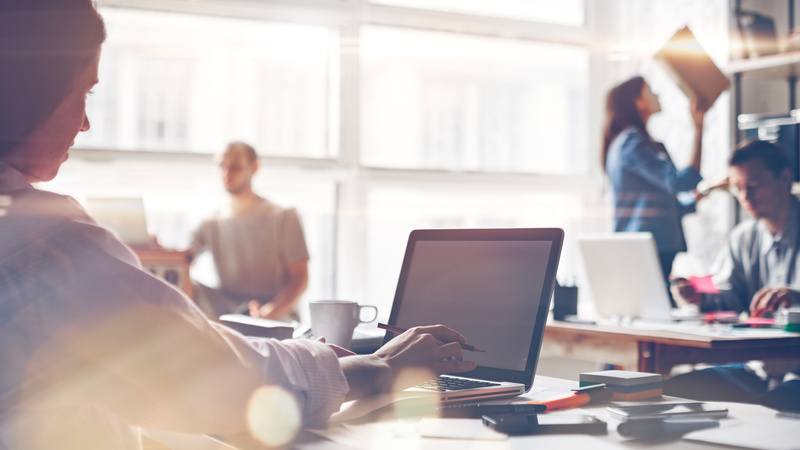 A hot desk, or shared workspace, is a large desk space with facilities to connect laptops to power and the internet or intranet. Several people can use the area but nobody can claim the space for exclusive use. This is great for a mobile or flexible workforce. The team-based approach of many businesses means the idea of a fixed location for your desk is redundant. People need to be able to move about, work from home, or drop into the office, as needed. There was a time when offices were bland non-descript places with little style or character. The functional space didn’t seem to need color. All that has changed. As work environments are understood to impact productivity, color is one of the factors to consider. Furniture and the decor can offer color options to affect mood and the attractiveness of the workplace. There was a time when sleeping on the job was regarded as a firing offense. Not so now. Google is incorporating sleep pods in their offices to allows staff to take short naps. The variations on beds, chairs and specialized pods mean that staff can return to work refreshed by the power nap. Reduced stress levels and increased engagement may be the results. The world of work is changing and it’s not just the healthy chair. Technology, organizational design, and human resource management are responding to this too. The world of office design and furniture needs to adapt as well. To learn more about the changing work environment and how you can improve your space, contact us today. A bad office furniture layout will cost your company big time. Ineffective office designs cost companies 330 billion dollars every year in reduced productivity. Your office layout affects your staff’s performance. Minimal, clutter-free workspaces are important for focus. And attractive spaces help with mood and morale. There is no standard office furniture layout that is perfect for every company. Every office has different design needs. Because office spaces should reflect the goals and needs of your company. We have a few design tips will improve your team’s productivity. Keep reading for improvements to make your office more effective. Lighting impacts mood and productivity. Avoid fluorescent lighting. These lights cause migraines, eye strain, and anxiety. Choose incandescent bulbs when natural light isn’t an option. Lightbulbs should be cool colored, and not too bright. Cold lighting promotes productivity. And bright lights can be distracting for many employees. But, natural light is always best. Natural light is a mood-booster that increases productivity. Installing more windows will increase natural light. Also, glass partitions can brighten your office and make it appear bigger. Ergonomics is the study of workplace efficiency. Typical office furniture causes stress and fatigue. 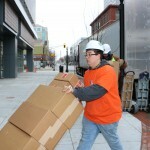 But, ergonomic design values employee comfort and health. 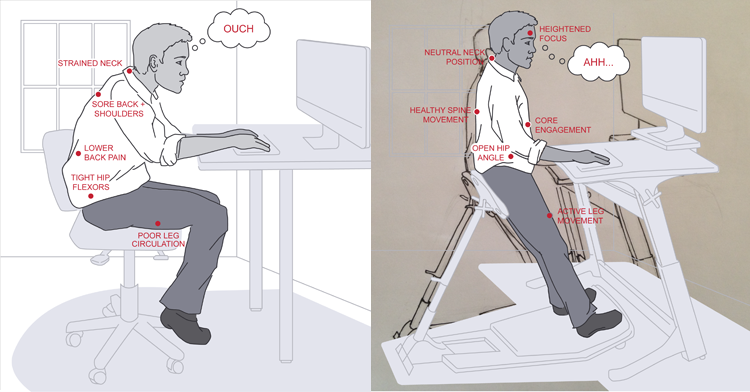 Ergonomic designs keep your employees healthy. Specialty mouses and keyboards prevent repetitive motion injuries. And ergonomic office chairs decrease fatigue and improve focus. Adjustable sit to stand desks are another great addition to your office. Standing desks improve focus. Many employees need time alone to be productive. Cubicle-based office furniture layouts are great for focus and privacy. Privacy can also be incorporated into open offices. Business owners embraced open offices to improve teamwork and morale. And many open offices have started integrating private workspaces into their designs. Private workspaces are great for hunkering down and finishing a difficult task. Private workstations also give employees an opportunity to recharge and process collaborations. Collaboration is more successful when people can have time alone as well. Open offices are excellent for collaborative work and they encourage camaraderie. However, all the free communication can be loud or distracting for some employees. 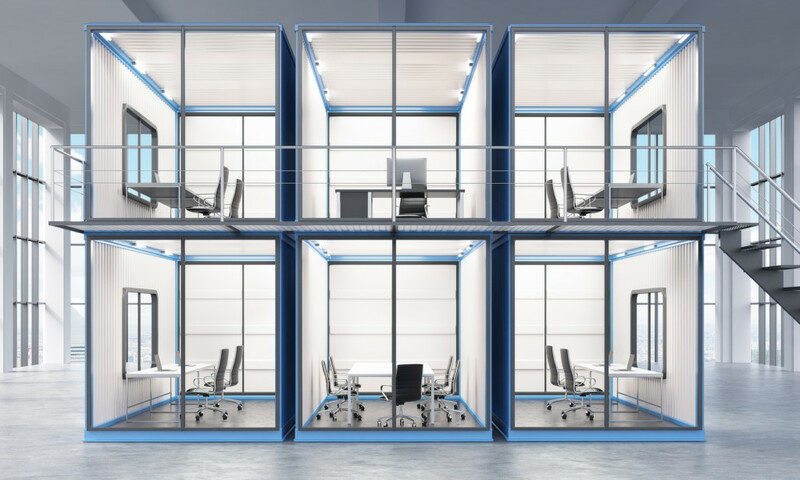 Adding a few walls or partitions to your open office will help with noise. And, you can install thicker carpeting to help absorb sound. It’s also important to have spaces for silent work. A combination of silent and collaborative spaces helps productivity. Private, sound-proof work areas are a popular addition to many open offices. Your office’s layout effects employee mood and performance. A better workday can be as easy as rearranging your furniture. Everyone thrives under different conditions. Consider what will work best for your team when redesigning your office. Understand your employees so you can meet their needs and increase productivity. Then, combine employee input with company goals to design the perfect workspace. Contact us to learn how you can make the most of your office space. Alloy Benching by National Office Furniture bridges the gap between personal offices and open plan spaces. 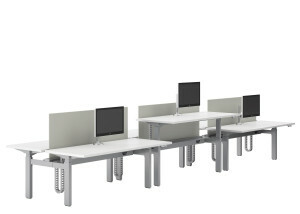 Alloy Benching offers standard, standing-height, or adjustable-height desk options, multiple-configurations possibilities, base color choices, and various electrical solutions allowing you to easily tailor it to fit your needs. Fixed height powered units feature an integrated trough for easy plug and play capabilities and cord management. Add desktop grommets to further expand power, data, and technology management options. With power and data options within arm’s reach, Alloy facilitates a hub of activity within individual work zones. Is your office furniture looking a bit outdated and unprofessional? Perhaps your customers are scared off by the tracks in your desk and the stains on your office chair. Sometimes, all it takes to freshen up a dull workspace is new furniture. You may already understand the costs involved when you buy office furniture. However, there are ways to save and get more bang for your buck while creating a fresh office space. You don’t have to purchase the most expensive furniture for a chic and put-together work space. Instead, it is smart to save your pennies. Here are some tips and tricks to buying office furniture that everyone will love… including your wallet! It is important to consider your team when purchasing new office furniture. Start the search by asking your employees or colleagues what they would love to have in their work environment. 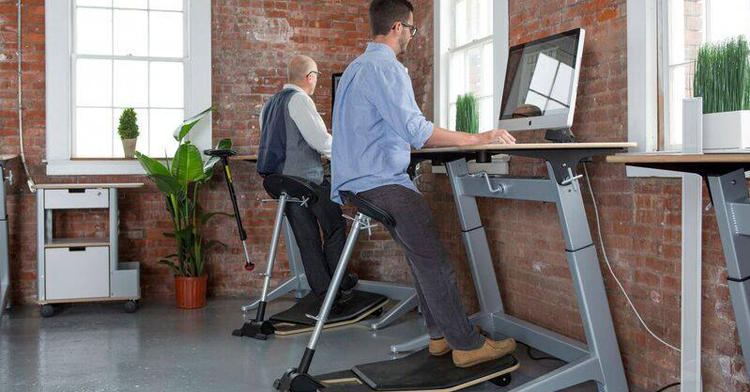 Would they rather have standing desks? Would they sacrifice that fancy corner desk for a more comfortable chair? Ask these questions before you purchase – ensuring you won’t have regrets on that end. Remember that office equipment is switched yearly in some businesses. This could mean that the furniture is still good as new. Used furniture is a great option, especially if you have a smaller office and a tight budget. You can find duplicates of tables, chairs and desks and incorporate them with what you already have. The idea of replacing the new with something restored is a huge trend in furniture. See if you can find some high-quality pieces that are new to you. Is there anything you can salvage? Maybe the desk you use for business meetings is perfectly good to use. You don’t need to replace the furniture, just to replace it. Instead, go through your office space and take inventory of what needs to be replaced and what does not. Take your time to ensure you do not over purchase when you make a selection. You may be able to save several pieces and integrate the new in with it. Make sure you look at all areas of your business including conference rooms, office spaces, cubicle space, your own office, and even the bathrooms. You can ask around your office to hear others’ opinions on what needs to be replaced. Maybe they see something you don’t. Do you feel overwhelmed when it is time to buy office furniture? Don’t. Instead, use these tips and tricks to get the most out of your budget. Remember to take inventory of your space, don’t “discount” used furniture and ask your employees and colleagues about what they want. You can save money while enjoying your workspace by being money savvy. Enjoy your new office furniture, completely guilt-free! You’ve been tasked with choosing office furniture that everyone in your business will like. No pressure, right? If you don’t make the right choices, it will be held against you. But if you do make the right choices, you’ll be a hero. Using the right furniture in your office makes a huge difference in terms of productivity and morale. For instance, many in the professional world believe that boring furniture can, in fact, make people lazy. Instead, most companies that want their staff to be creative are opting for bright colors and interesting designs. What type of furniture your company needs depends on how you do business and what you expect from your employees. It also sets the tone for clients and visitors straight off the bat. 1. Do They Follow The Latest Trends? Furniture has come a long way over the years and there’s a lot to keep up with. Standing desks, for example, did not exactly play a starring role back in the 80s in high rise city buildings. Plus, they offer lots of health and productivity benefits. 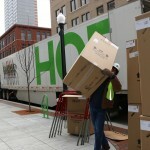 You can’t possibly be expected to know what’s popular on the market today, but the right furniture supplier will. Do they have success stories to share? Ask them about existing and former clients who have had some of the same furniture needs. If they’ve outfitted companies that have a large portion of their staff sharing desks because they work remotely much of the time and your company is similar, ask how they adjusted to the need. 3. Are They Able To Incorporate Existing Furniture Into The Mix? 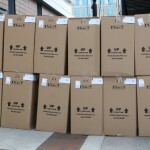 You may be keeping some of your existing office furniture and that’s not an uncommon situation. If you’re just focusing on replacing chairs, you should be able to show them the desks you’re currently using and get suggestions from them. 4. Do They Focus On Ergonomic Corporate Furniture? Health and wellness are important to employees, especially to the big influx of millennials that are joining the workforce in droves. If the supplier understands that comfort is the priority and not just an afterthought, they’ll be on your page from the start. This is a major selling point for employees if you’re able to tell them that they’re getting furniture that is better for them! 5. Do They Sell New And Used Furniture? Especially if you’re integrating new furniture in with your old furniture, having the option to buy used furniture is a big asset. There may be designs that you’re looking for that are no longer being produced that would go well with your space. Especially if your office space is dated, incorporating brand new furniture into the mix may not be the best option. Are you ready to take your furniture game to the next level and work with a company to find solutions that will please the whole office? Contact Workspace Solutions. We do more than sell corporate office furniture — we provide the whole package from office design, furniture sales, and installation! As we mentioned in our last article, many Americans today are suffering from “Sitting Disease” due to a highly sedentary lifestyle. Striving to become more active on the job, many workers have tried sitting on exercise balls, using treadmill desks, and standing-height desks. “Standing-height desks are great,” says Mike Hunter of Workspace Solutions. Because sitting all day is bad for your health while standing all day is hard on your joints. 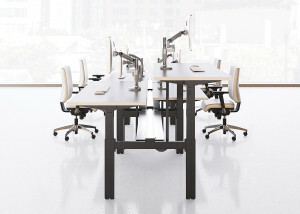 Adjustible standing-height desks allow you to easily go from sitting to standing. But, some users still need a little extra support.” The solution? Focal Upright Furniture which gives workers a third option that balances the active benefits of standing with the comfort of sitting. 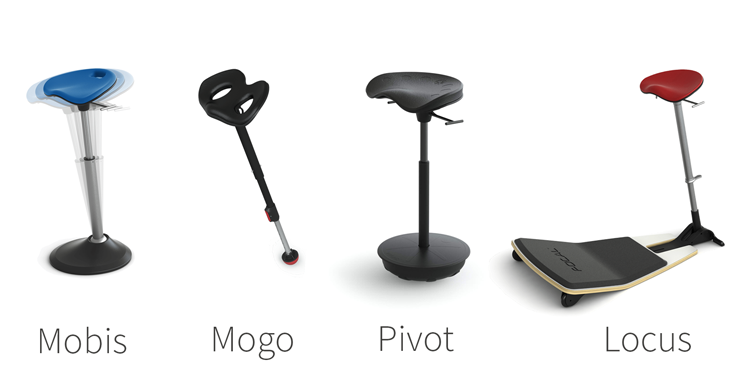 There are four models to choose from. Visit the Workspace Solutions office furniture store in Fort Wayne to try them out for yourself and see which one works best for you. It’s furniture moving day! 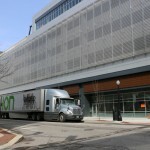 After months of work on the Ash Skyline Plaza in Fort Wayne, the day is finally here that we start moving in office furniture. 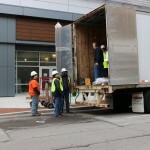 We’re out at the new building unloading trucks full of office furniture. 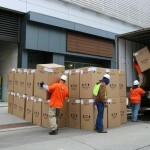 We will be installing furniture for Ash Brokerage on the 7th and 8th floor. We’re very excited to be a part of this project that’s been months in the making. 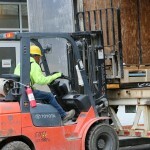 Check back to see the progress on the building and the creative use of furniture and office spaces. Stop by the Workspace Solutions Office Furniture Store in Fort Wayne to see the latest in new office furniture including these new arrivals from Hon, National, Gunlocke, and more.